In honour of Jew of the Week’s 7th birthday this November, we will feature a month-long series on the most famous (and sometimes infamous) Jewish family of all time: the Rothschilds. This is part five of five. Click here for part one, here for part two, here for part three, and here for part four. Having explored the lives and achievements of the first generations of Rothschilds, we now turn to the Rothschilds of our days. Although the family has grown very large over the centuries, with the number of members in the thousands, two Rothschilds stand out, and are undoubtedly the most famous in modern times. The elder is Evelyn Robert Adrian de Rothschild (b. 1931), who spent part of his childhood in the United States. There he had his first job: distributing soda and sundaes at a pharmacy. This played a role in making him a “chocoholic”, and led to his eventual founding of an award-winning chocolate shop. Evelyn officially joined the family business at age 26, and successfully widened the family fortune. He was made chairman in 1982. He has also served as chairman of The Economist magazine, De Beers diamonds, and IBM UK. In 1989 he was knighted by Queen Elizabeth II, and remains her personal financial adviser. Like the rest of his family, Sir Evelyn is a noted philanthropist and patron of the arts. He has donated countless sums, and his Eranda Foundation finances social welfare programs, medical research, education, and art. He has chaired a medical school and an arts academy, and is part of a trust fund that provides scholarships for students with disabilities. (His chocolate shop, too, uses only ethically-sourced cocoa beans, and a portion of all sales is donated to Elephant Family, a nature conservation charity.) 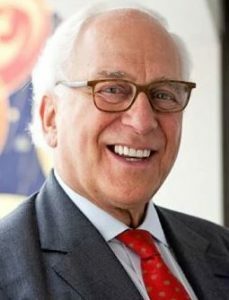 Sir Evelyn retired from the family business in 2003, after engineering the merger of the London and Paris Rothschild groups into one company. One person who is conspicuously absent from this new Rothschild company is Evelyn’s cousin, Nathaniel Charles Jacob Rothschild (b. 1936), officially the Lord Rothschild. He was the firstborn son of the previous Rothschild baron, thereby inheriting the title. He joined the family business after receiving a Ph.D in history from Oxford University. He expected to eventually take over the family business, but cousin Evelyn was selected instead, leading Jacob to resign in disappointment, and sell his stake in the company. Undeterred, Jacob started his own investment fund and quickly multiplied his fortune (now estimated at $5 billion), proving his doubters wrong. He is a major philanthropist and patron of the arts. One of his pet projects is converting the Waddeston family manor into one of the top museums and art galleries in the world. It attracts half a million visitors a year, and has won a Museum of the Year Award. Jacob has given funds for archaeological research, and large sums to the State of Israel. He chairs Yad HaNadiv, the Israeli arm of The Rothschild Foundation, which invests in Israeli education, environmental restoration, civic projects (including the Knesset, Supreme Court, and National Library buildings), and supports Arab communities. 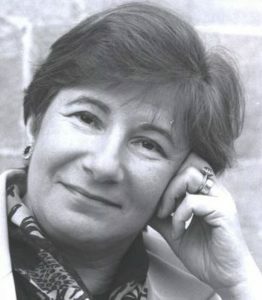 The baron is also president of the Institute for Jewish Policy Research. He has won a long list of awards for his philanthropic work and support for the arts, his wisdom and financial acumen. 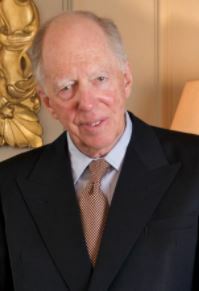 Click here to see a recent documentary about Jacob Rothschild and his family. I did not support you and take you under my wing due to your poverty but due to your passion to work and live in the Holy Land, and to live in accordance with the spirit of the Torah. This entry was posted in Business & Finance and tagged Baron, British Jews, Charity, Chocolate, De Beers, Diamonds, IBM, Institute for Jewish Policy Research, Israel, Jacob Rothschild, Jewish Knight, Knesset, Lord Rothschild, Oxford, Philanthropists, Queen Elizabeth II, Rothschilds, Sir Evelyn de Rothschild, The Rothschild Foundation, Yad HaNadiv on November 29, 2017 by Jew of the Week.